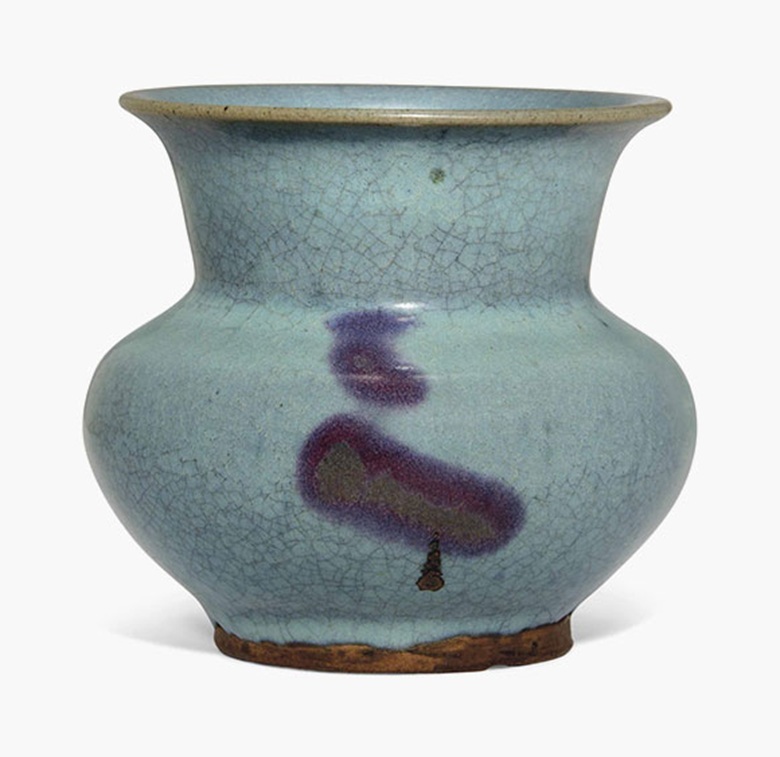 Chinese pottery is one of the most world-renowned types of pottery there is. Most people in the world know the word china as the form of ceramics, and China as the country that shares the same name. However, not many people know the connections between the two, which can be traced all the way back to the very first settlements in the mid-eastern parts of China. Here, let’s look back into history and trace the connections between China and the famous pottery, otherwise known throughout the world as china. This Christmas, I was lucky enough to have the chance to go to Jingdezhen, a city known as the porcelain capital. This article will dig deeper into the history, location, technicalities and the connection of china to the world. The history of Chinese pottery dates back all the way to around 18000 years ago. The start of the Neolithic age marked a time of great change in mainland China. One of the most pivotal changes was the discovery of clay and the ability to utilize the new material. As more and more people found clay to be practical and easily maneuverable, a new method of clay work was quickly adopted by almost all. The widespread use of the new method improved the craft. As more people began to work on this craft, different styles developed, more types of clay were used, and different cooking styles emerged. This eventually lead to the to the prevalence of the pottery in China. One of the most famous locations in China for porcelain is Jingdezhen, previously called Changnan. Foreigners associated the new pottery with Changnan, thus giving porcelain the other name of china. Changnan became Jingdezhen because one of the Emperors, Jingde, loved the town and its pottery so much that he decided to name the town after his own given name. Although many may not know, the main reason that Changnan rose to fame was because of its delicate pottery owned by the royals and other powerful families. The expert craftsmen and artists of the town created the most stunning and exquisite pieces of pottery for only the use of the elite classes. These expert craftsmen had created ceramic work that shocked the whole world. These beautifully crafted pieces of clay were praised by the whole world. 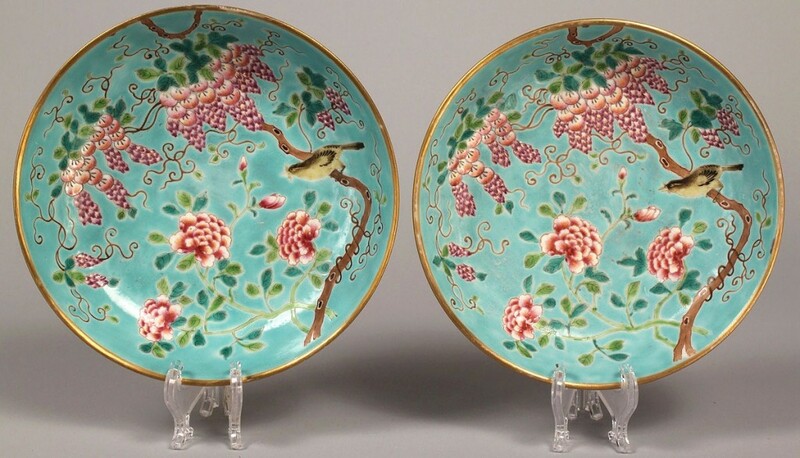 As the country became known for its beautiful china pottery, people began to call the country by the name of China, and the modern name was born. The seemingly impossible designs of these pieces are what truly catches the eye. There are many ways to design, form, and decorate the porcelain; however, there are only four that are the most famous, and arguably, the most difficult. These four types are the blue and white porcelain; the glaze porcelain; the carved porcelain; and the famille rose porcelain. All four practices are famously made and perfected in the city of Jingdezhen. The blue and white porcelain is debatably the most iconic of the Chinese pottery. This method requires the smooth craftsmanship of the potter and the steady hands of the artist, who must draw every single dot and line on the surface. This technique is rather difficult as it involves the consistent drawing on the pot’s surface, one mistake minute will make the pot unpresentable. After the drawing, the instrument will be cooked in the kiln for multiple times to reach ideal hardness and coloration. The glaze porcelain also requires difficult-to-acquire skills and high precision. The process starts with the normal making of a clay utensil. Then a special craftsman will carefully cut patterns into the utensil. Next, the utensil will be covered with a underglaze, not blocking the holes. Lastly, a clear glaze will be used to cover the whole utensil, blocking the holes and completing the piece. This method is commonly found in teacups and other small objects. The carved porcelain is a truly subtle form of decorating. The pot is first made, then covered with an underglaze. A skilled worker will scrape small lines into the leather-hard pot. A pot with the height of 20 centimeters can have more than five thousand small lines carved on. This method of decoration can take multiple months, and in the past, carved porcelain was only made for the royals. Lastly, famille rose porcelain is made by using arsenic to erode away some of the glaze, revealing certain patterns and colors. This practice is considered dangerous even today because arsenic is toxic and erosive. These technique of making and decorating pottery are very difficult, and these artisans are only in charge of only one of the procedures of the making for their whole life. These systems of decorating also involve different cooking environments and kilns, which leads to the next topic, the development of kilns. As we go through the history of China and its clay productions, we can find clay work of different sizes, colors, and decoration techniques. Thus, it would be impossible to have kilns that are all made homogeneously to produce such a different variety of clay work. As people produced more designs for clay, they had to make kilns correspondingly to fit these designs. The kilns in the earlier times were all heated by using wood to fuel a fire then channeling the heat to the porcelain compartment to cook the products, then out through a chimney at the back of the kiln. Smaller kilns can be as small as two meters wide and high. These smaller kilns is mostly used to cook a smaller amount of clay work. They are mostly used by individual artisans; larger kilns are used to cook larger pieces of work. These pieces are usually used to store large amounts of water or for decoration purposes. Some are even larger, measuring to four meters wide and two and a half meters tall. These kilns are for bigger organizations to use, particularly government endorsed groups. They are used to cook a variety of artworks from big containers to small cups. There are also government-owned kilns. These kilns can be more than fifteen meters in length and eight meters wide with a height of five meters. These types of kilns are used in to cook a few thousand pieces of work every firing; however, the success rate of the artworks are relatively low at around 30%. All of the kilns are different because of the engineering and architecture. Some of the kilns can only produce works with a light tea green colored glaze while others can only produce the famous blue and white pottery. Still others can only produce small bright colored pottery. All kilns are different; however when all kilns are cooking regularly, there is a continuous production of porcelain for society. As the pottery became more advanced in China and more forms of pottery emerged, pottery became more tightly integrated into the society. Porcelain became more common in the lives of everyday people. However, the quality of pottery can differ based on kilns and firings. The normal citizen could only use the middle to low quality pottery with little and no decoration. The higher class and the royals were the only people with access to the flawlessly made and extravagantly decorated pieces. As the demand for pottery increased, more and more people went into the pottery industry to manufacture china. This increased trade and helped grow the economy. The emperor at that time particularly liked the pottery made in Jingde Town, so he built facilities there to make large numbers of high pottery for only the most prominent people. This is one of the reasons Jingde Town became a renowned mecca for pottery. This small town only grew to the big city it is today because of the support of the then emperor. In other places in China, the emperor also helped to grow the business. Making Chinese pottery has been well known all over the world for its quality and beauty. And since then, pottery has been integral to Chinese culture. The history of pottery in China is one of the longest existing and most interesting stories in history, and the way where it all came from was truly spectacular. The development of porcelain happened over a few thousand years in the Chinese history. Looking back to the humble beginnings of raw clay pots, the clay technology developed in a very steadfast fashion. We can see these changes clearly with the history of china, the famous locations of ceramics, the technicalities, and how pottery in China has changed and shaped the country. Overall, Chinese porcelain is, and still will be the longest exiting and continuously produced forms of clay work in the world. Previous article Chung Hyeon: Who is This Guy? Next article Cathy Newman and Jordan Peterson: What Can That Video Show Us? Jack Cai is a III Former at St. Mark’s School from Shanghai, China. He is a passionate golf player and guitar player. He is a photographer as well as a student in behavioral psychology, social psychology and philosophy.